One of the most popular questions I get from buyers looking to make a move to the Manalapan/Marlboro area is "how are the schools?" I have two children who are currently enrolled in the Manalapan Elementary and Monmouth County Vocational school systems. To date, the school districts I've experienced have not let me down and in fact, have far exceeded my expectations. When my daughter was graduating middle school, I couldn't believe the variety of choices she had for where to go to high school. There truly is "something for everyone." Admission to some programs is based on academic testing/grades and others could be based on a written essay, interview or even an audition! Some programs have pre-requisite courses that need to be taken in middle school. Parents should familiarize yourself with these programs when their children are in 7th grade so you can make the best choices when considering their classes for 8th grade. Alternatively, children can go to the schools they are zoned for based on their mailing address. Keep in mind, the town you live in is not necessarily the high school for which you are zoned!! There are parts of Manalapan Township where the children go to Freehold Township High School and parts of Marlboro and Freehold Township where the kids will go to Colts Neck High School! Here is a link to a guide for streets that are not zoned for their hometown high schools. The Freehold Regional High School District is a public regional school district serving students in grades 9-12 from eight communities in western Monmouth County, New Jersey, United States. The district, consisting of six high schools, is the largest regional high school district in the state of New Jersey. The district serves students from Colts Neck Township, Englishtown, Farmingdale, Freehold Borough, Freehold Township, Howell Township, Manalapan Township and Marlboro Township. The curriculum at each of the high schools is the same for all academic subjects. A high priority is placed on student performance and staff accountability. More than 87 percent of the students pursue higher education, including the most prestigious colleges in the nation. At all of the high schools, SAT scores consistently exceed state and national averages, and HSPA scores at all schools are well above state averages. Students living within zone of The Freehold Regional High School District are offered more than just the opportunity for an award winning high school education. Students are given the option to participate in one of the specialized Learning Centers, Academies or perhaps attend one of the career oriented schools of the award winning Monmouth County Vocational School District. Note: The Freehold Regional High School District provides bussing for all Academy, Learning Center and Vocational School District students. Learning Centers are four-year programs of academic study offered to a selected group of highly motivated students who have demonstrated interests and abilities in particular fields of study. Students and faculty of a particular program join together to form a unique learning community located within the comprehensive high school setting. All Learning Centers include in depth study of targeted courses on an advanced level, with many courses meeting the requirements of Advanced Placement or college level work. Learning Center courses fall under traditional academic disciplines such as science, math, social studies, and language. However the four-year sequence of course work combines to make an integrated and interdisciplinary academic experience for students. The centers address the core skills, knowledge and values that are essential to success in high school and in preparation for acceptance to a competitive four-year college or university. All 8th grade students from a sending high school in our district are eligible to apply. Click the program name for a short video describing the program. The Business Administration Learning Center, offers a four-year program to talented, high achieving students who wish to pursue their interests in business administration and management. Courses include Economic Geography, Business Law, American Economic History I & II, AP Economics, Business Computer Systems, Business Principles & Applications, Accounting, and an Entrepreneurship Seminar. Classroom activities are augmented with guest lectures, field experiences, and close affiliations with business and industry. Opportunities for counseling and career orientation to colleges and universities are available. A prerequisite for program admission is satisfactory completion of Algebra I in the 8th grade. The Scholars' Center for the Humanities, offers a four-year program that assists highly talented and motivated students to develop advanced research skills, superior analytical and critical thinking skills, and sophisticated written and verbal communication skills while studying the many facets of American culture. Students experience an intensive, interdisciplinary approach to the liberal arts through course work in literature, arts, history, cultures, philosophy, and research strategies. The focus of this program is an intensive study of global regions, international challenges, cultures, economies and governments. Students with an interest in international development, diplomacy and world order are challenged with an accelerated and unique curriculum within the high school experience. A comprehensive language program enables students to gain proficiency in a world language. Seniors in the program participate in a culminating independent research project exploring an international problem and presenting their findings and recommendations at the Contemporary Global Issues Research Symposium. The Medical Sciences Learning Center, offers a four-year program for students interested in the medical and natural sciences. Students work and study in a creative environment, invigorated by contact with specialists in the science and health care fields. Advanced program curricula includes Lab Biology, Math, Research, Statistics, Introduction to Computers, Chemistry; Biochemistry/ Cell Physiology, Calculus, Anatomy/Physiology, and Human Genetics. The program enables students to develop research and process skills, which serve as an excellent preparation for future training in the health science. Articulation with medical and research facilities prepare students for an extensive junior year research project. A prerequisite for program admission is satisfactory completion of Algebra I in the 8th grade. The Center for Law and Public Service, is a four-year program for students with demonstrated interests and abilities in history, politics, government, law, volunteerism and leadership. Targeted skills for development include problem solving, critical thinking and reading, written and oral communication, research, and organization. The values of citizenship, justice, and service serve as the foundation for academic study. Students study history as it relates to the development of the US and the evolution of world societies and governments, as well as political thought, ethical philosophy, and leadership theory. Special attention is given to NJ history and civic affairs. Skills and knowledge are enhanced by active experiences in volunteerism and public service on the school, local, state and national levels. Career opportunities are explored during externships in government offices, volunteer agencies, police departments, and emergency and fire services. To help you decide if a Learning Center is right for you, ask yourself the following questions. Your responses will help you to decide whether or not you are eligible to apply. Do my grades in the subjects that are the academic focus of the learning center demonstrate that I am ready to accept the challenge of the program? Have I demonstrated that I can balance the demands of accelerated classes while still participating in sports, clubs, hobbies and other extra-curricular activities? Do my personal interests match the focus of the learning center? Am I taking the prerequisite course, Algebra I, for application to Business Administration, Science and Engineering, and the Medical Science Learning Centers? Can I identify two teachers that will provide me with an excellent recommendation for these programs? Have my scores on standardized tests been strong? Academy programs are four-year programs of specialized coursework and experiences for students who have a particular career interest. The programs integrate career and technical courses in addition to the traditional academic curriculum. Students who attend our academies benefit from being part of a career-oriented learning community while at the same time being a fully participating student within a comprehensive high school. The academy environment encourages students to engage in meaningful learning activities that are relevant to real-world settings. Students who attend academies are prepared to directly enter the work force where they can immediately use the knowledge and skills; attend a post-secondary technical program; or attend a two or four year college. The Animal and Botanical Academy is a four-year program covering topics such as floral and landscape design, plant and animal science, greenhouse production, food science, and natural resources management. The program consists of three integral parts: classroom instruction, supervised Agricultural Education (SAE), and participation in National Organization for Agriculture Education, (FFA). Participation in these organizations provides students with an opportunity to build leadership skills, serve the community, and explore career opportunities. An articulation agreement with Mercer County Community College allows students to earn college credits for courses completed while attending the Animal and Botanical Program. The Computer Science Academy is designed for students interested in exploring the fields of Computer Science or Computer Engineering. The first two years emphasize the basic components of Computer Science and various programming languages. Specialized math courses, combining Geometry, Algebra and Discrete Math, are integrated into the curriculum. Junior/senior classes are equivalent to second and third year computer science courses at the college level. A prerequisite for program admission is enrollment in and the satisfactory completion of Algebra I in the eighth grade with a "B" or better average. The Fine and Performing Arts Learning Center, located at Howell High School, provides an opportunity for highly motivated students to channel and further develop their interests and talents in the arts. The center prepares students for further training and/or performance at colleges/ conservatories by developing self-discipline, analytical/ critical thinking skills, and an appreciation for all the arts. A four- year sequence of classes is offered in the following majors: Acting, Dance, Entertainment Technology-Video, and Entertainment Technology-Music. Class work is augmented with field trips, lectures, and master classes offered by visiting artists. Students participate in a variety of creative and performance opportunities. This four year course of study encompasses three main subject areas: Leadership, Naval Science, and Physical Training. The Leadership curriculum develops skills in study, time management, and personal leadership, as well as self-discipline and self-reliance. The roles and capabilities of the U.S. Armed Forces, particularly sea power, shipboard life, national security and naval history are reviewed. Cadets learn military customs, courtesies, drills, ceremonies and respect for the flag, and develop a sense of patriotism through community and school service. The leadership value of fitness is reinforced with weekly physical training. This is a dynamic opportunity for students to develop leadership qualities in a nurturing and exciting environment. This program is a highly focused program for students with specific interests in law enforcement, fire fighting, homeland security and emergency preparation and response. Course study includes criminal justice, civics, law enforcement, physical training, forensic and fire science. Students will receive training in various public safety areas. Skills and knowledge are further enhanced by active participation in volunteer programs and frequent articulation with local police and volunteer agencies. To help you decide if an Academy is right for you, ask yourself the following questions. Your responses will help you decide whether or not you are eligible to apply. Do my personal and career interests match the focus of the academy? Have I participated in classes, after school activities, hobbies or other activities that demonstrate that I have had some experience with the focus of the academy? Have I demonstrated that I can balance my interests and my required school work and be successful at both? Am I taking the prerequisite course, Algebra I, for application to the Computer Science Academy? Can I identify one other professional who has knowledge of my performing arts talent and who will provide me with an excellent recommendation for FPAA and for JROTC? Am I willing to participate in an audition for FPAA and/or an interview for JROTC? The Monmouth County Vocational School District Academies are a collection of theme-based public schools. These competitive admission academies are open to all 9th grade students in Monmouth County. The MCVSD prepares students for an evolving workplace and further education through achievement of the New Jersey Core Curriculum Content Standards at all grade levels in specialized academic, career and technical programs and lifelong learning opportunities. The Academy of Allied Health and Science prepares and motivates students to pursue further education towards a career in the medical sciences through a rigorous specialized curriculum and community-based partnerships, inspiring students to serve society with compassion, skill and vision. This specialized high school Is located in Neptune Township, in close proximity to Jersey Shore Medical Center and other Health Care facilities. AAHS provides a Continuous Program of College Preparatory Course work for students who are interested in exploring careers in the health and medical sciences with a heavy emphasis on the use of computer technology in the Allied Health field. Located in Freehold Township, Biotechnology High School provides a collaborative learning environment with a life science focus that prepares students for higher education, the evolving workplace, and citizenship in the global community through a challenging curriculum, exploration of scholarly research, design and implementation of original investigations, and interactive partnerships. The life science theme emphasizes scientific research, critical thinking, problem solving, technology and team work. Eighty-five percent of the graduates in 2011 selected college majors in biological sciences, physical sciences, engineering and pharmacy. BTHS has articulation agreements with New Jersey universities as well as internship partnerships with many top bio/pharmaceutical companies in the state. All junior and senior students at BTHS are International Baccalaureate (IB) Diploma Candidates. Seventy-three percent of the Class of 2011 earned their IB Diploma. Located in Wall Township, Communications High School, a small, personalized academy with a career focus, provides a theme-based integrated curriculum in conjunction with community and industry partnerships. Monmouth County students interested in the field of communications acquire knowledge, skills, and ethics in a unique and challenging educational environment. As a highly competitive specialized school, CHS selects 80 students each year from over 29,000 students enrolled in 26 public and 10 private schools across the county. CHS provides a college preparatory program in Communications that serves the community by providing exemplary learning experiences in areas such as New Media, Journalism and Publishing , Commercial Art, and TV/Radio Broadcasting. Every course is offered at the honors level. Located on the campus of Brookdale Community College in Lincroft, High Technology High School is a pre-engineering career academy that emphasizes the interconnections among mathematics, science, technology and the humanities. HTHS prepares students to become creative problem solvers through a rigorous specialized curriculum and community-based partnerships. Since its founding, the admission process has become increasingly competitive. Seventy-five students are selected each year from a pool of over three hundred outstanding applicants. Recognized twice as both a NJ Star School and a No Child Left Behind Blue Ribbon School, the US Department of Education has described HTHS as a "benchmark school." It went on to say the school "evidences that its approach embraces student, faculty, staff, and administration alike in a mission of excellence, requiring the most of, and providing the most to, all who enter there." To provide small, nurturing, student-centered, learning environment for young people in New Jersey; who are talented and are truly interested in the areas of: Marine and Environmental Studies. Located on historic and scenic Sandy Hook, this unique location enables the students to have regular scientific contact on the beaches, the bay and the Atlantic Ocean. The Marine Academy is fully accredited by the Middle States Association of Schools and Colleges and offers small classes with close personal attention. In 1998, the Marine Academy was designated a Blue Ribbon School as well as a New American High School by the United States Department of Education; these are just two of the many the innovative program has received throughout its years. The school's curriculum focuses on marine sciences and marine technology/engineering. The M.A.S.T. program requires each student to participate in the Naval Junior Reserve Officer Training Corps (NJROTC) in lieu of Physical Education. All information deemed reliable as of 1/15/2012. Thanks for the great summary, JoAnna. This will help us tremendously in a few years when our son gets ready for High School. Also, thanks again for all your help in getting us into our new home. We couldn't have been more thrilled with the experience and your professionalism (and patience). 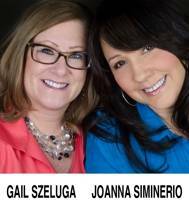 Post © 2019 Gail Szeluga & JoAnna Siminerio, Fostering Community Spirit Through Real Estate (Weichert Realtors - Manalapan - Marlboro). Design © 2019 ActiveRain, Inc. All rights reserved, Inc.